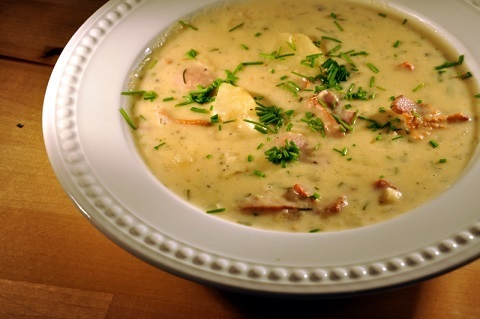 Featuring this Cream of Potato Soup is one of the ways I keep the restaurant guests (and my husband) happy. It is so hugely popular it is called a favorite restaurant recipe. Preparation Time: 40 minutes. Serves: 6. 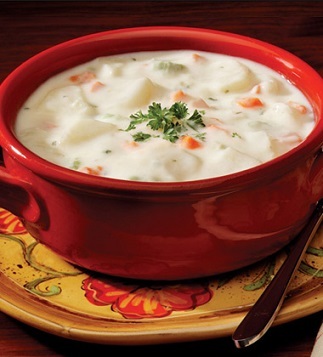 Try serving this Potato soup with the Warm Spinach Salad and a wonderful bran muffin or Dinner Roll. 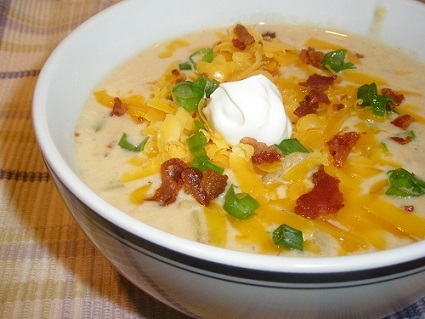 Thank you for your interest in this Potato Soup Recipe and all the restaurant soup recipes. You can cook with confidence and style! ENJOY your soup and the other restaurant recipes on the website and the company of those you share them with!